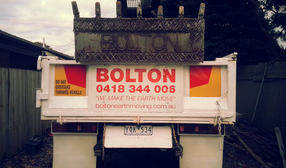 Bolton Earthmoving is a family owned and run company and has been since 1947. Three generations of born and bred operators have saturated the eastern suburbs with examples of the quality services we provide. The machines may have diversified over time but our strong work ethic and enthusiasm remains the same. 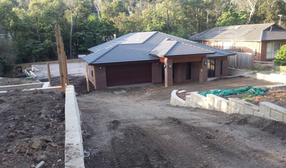 Our knowledge of the industry is a resource that our regulars find invaluable; if there's a task we can't take care of personally, we know an honest tradie who can. Backhoes for foundations, drainage and sewer work. We have a range of Ditchwitch chain trenchers and under road borers for the installation of electrical conduits, root barriers, service and communication conduits. We have vertical borer units for stump holes, foundation piers, foundation underpinning, installation/boring of power transmission, sports and area lighting pole foundations. We supply and install sports and area lighting poles and lights including all underground work. Our broad range of equipment means we are able to deal with most limited access situations. Quality Work & Competitive Prices! With a scope big or small enough for any job, Bolton Earthmoving specializes in all areas of earthworks and area lighting. Focusing on quality work and friendly customer service. 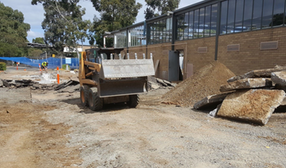 With competitive prices we provide Bobcats and Tippers for excavation, rubbish removal, crushed rock and fill supplies.